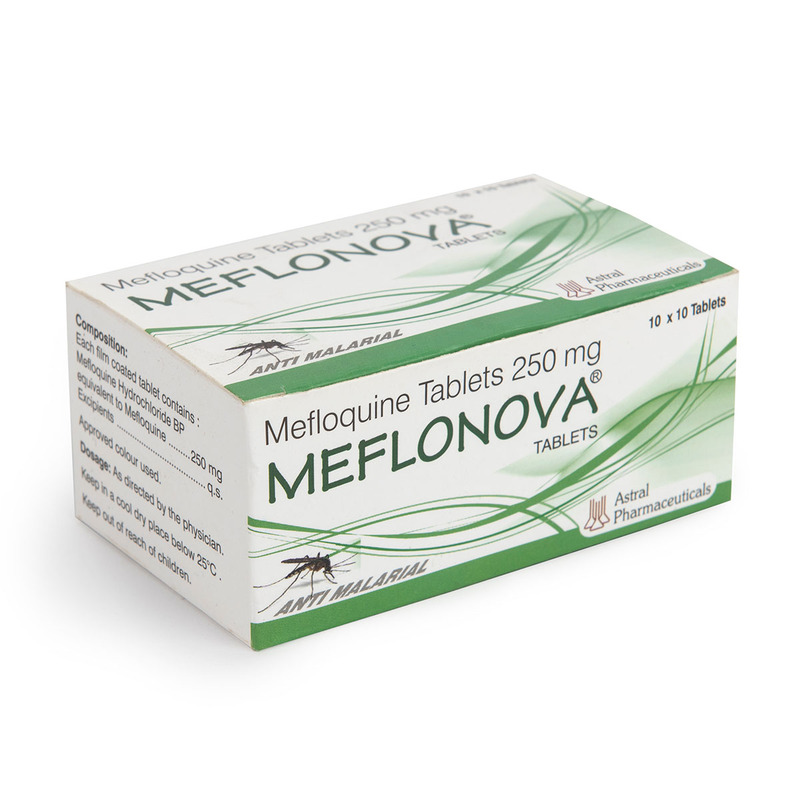 Meflonova 1X10, 1X6 & 1X4 are our known antimalarial product in African countries. Ten Blister strips each of 6 / 4 tablets kept in a multicolor laminated box. We also have in smaller packs of 1 x 4 tablets. 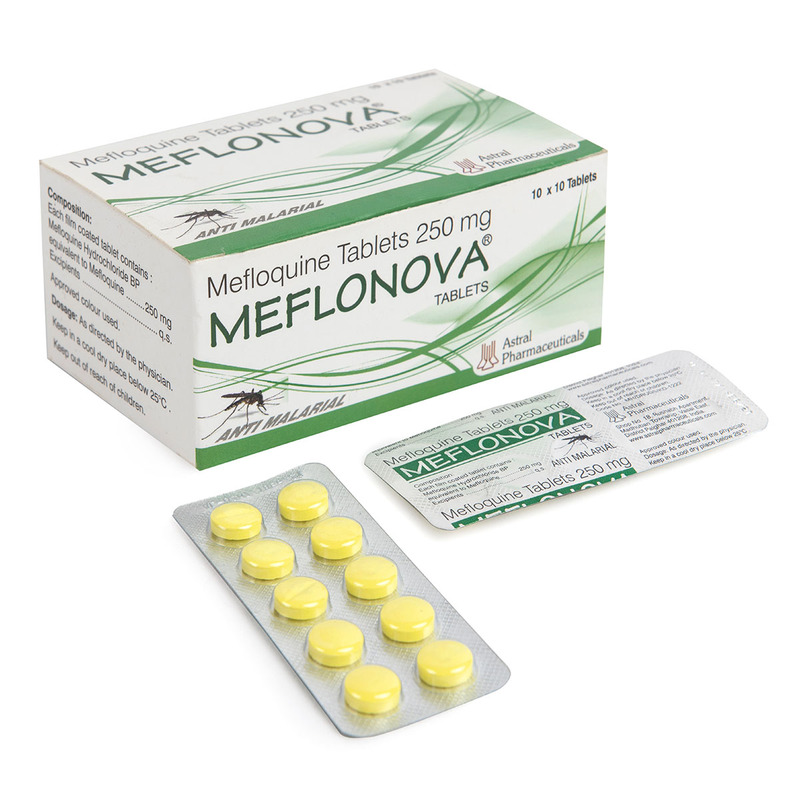 Our Meflonova [Mefloquine Hydrochloride BP] is an antimalarial medicine. It is 250 mg yellow color tablets. 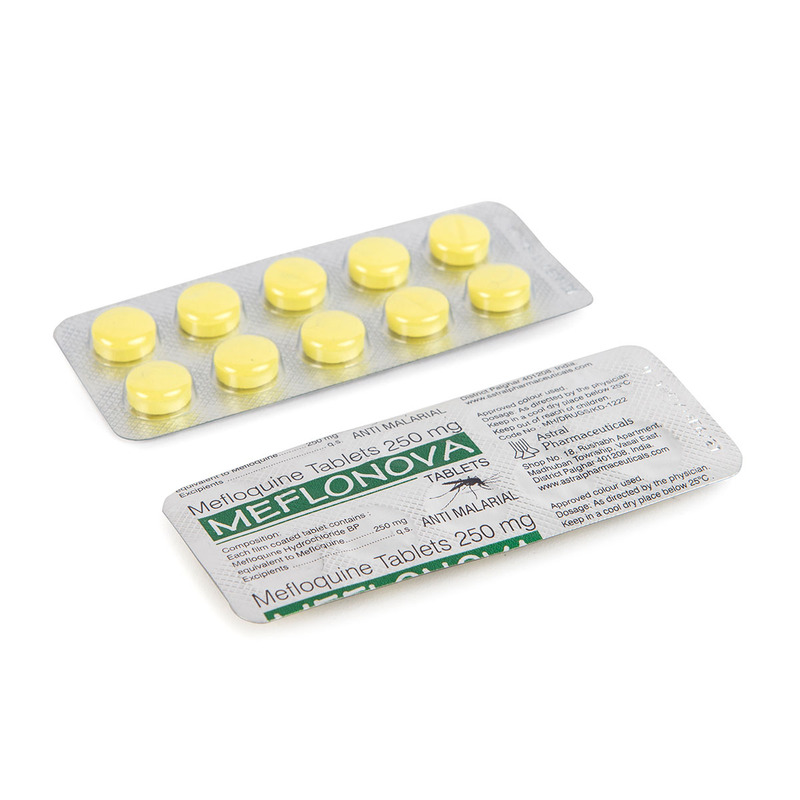 It is very effective against malaria parasites, resistant to chloroquine tablets. Mefloquine may cause side effect, should be taken under medical supervision.